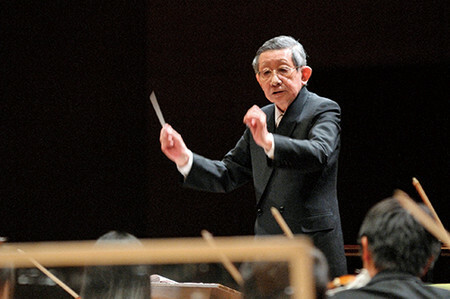 Koischi Suigyama is a composer born in 1931 in Tokyo. After producing a lot of TV programs as a director, he left the company to devote himself to making music. He has produced numerous game, commercial, pop, anime, film and other music, and he composed all the songs for the popular video game “Dragon Quest”. The background music and fanfarea at Tokyo race corse and Nakayama race corse of “Chuo Horse race” is one of the well-known piece of his. He is known as a big fan of video games, and since he makes a living on game music, he thinks it’s a calling.